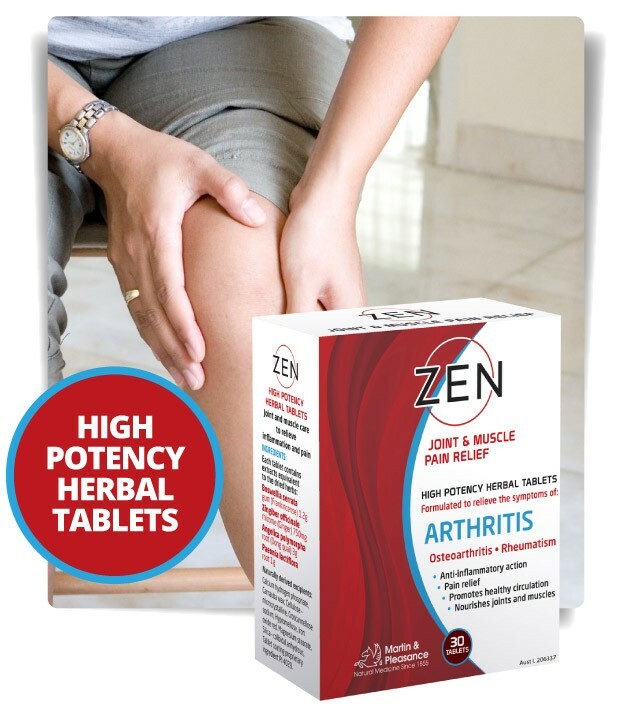 Zen Arthritis tablets are a high potency herbal formula that has been specifically formulated to help Arthritis Pain Relief the symptoms of arthritis, osteoarthritis and rheumatism. The Boswellia and ginger in Zen tablets have been clinically trialled and shown to reduce stiffness, pain and inflammation in osteoarthritis and rheumatoid arthritis. The combination of herbs in Zen tablets were especially chosen as they have been used in Traditional Chinese Medicine to help relieve pain, Arthritis Pain Relief and swelling, promote healthy circulation and provide ongoing nourishment for joints and muscles. Or take as directed by your healthcare practitioner. Tablets can be taken with water or juice, before meals or at least one hour after meals. If you are taking medications consult your healthcare professional. “Efficacy and tolerability of Boswellia serrate extract in the treatment of osteoarthritis of knee…” Kimmatkar et al Phytomedicine 2003; 10 (1). 2. Sontakke S etal 2007; 39 (1) 27 Indian J of Pharmacol Open, randomised, controlled clinical trial of Bswellia serrate extract compared to valdecoxib in OA of the knee. 3. Etzel R et al 1996; 3 (1) 91 Phytomedicine. Special extract of Boswellia serrate (H15) in the treatment of rheumatoid arthritis. A traditional Chinese tonic herb, used to strengthen and nourish the body’s reserves and offer support while undergoing repair and healing. This herb has been shown to be an anti-inflammatory leading to improvements in mobility. [i] “Efficacy and tolerability of Boswellia serrate extract in the treatment of osteoarthritis of knee…” Kimmatkar et al Phytomedicine 2003; 10 (1). 2. Sontakke S etal 2007; 39 (1) 27 Indian J of Pharmacol Open, randomised, controlled clinical trial of Bswellia serrate extract compared to valdecoxib in OA of the knee. 3. Etzel R et al 1996; 3 (1) 91 Phytomedicine. Special extract of Boswellia serrate (H15) in the treatment of rheumatoid arthritis. Always read the label and use only as directed. If symptoms persist, consult your healthcare professional. Discontinue use if you develop sensitivity to the formula. Do not use if tamper-evident seal is broken. 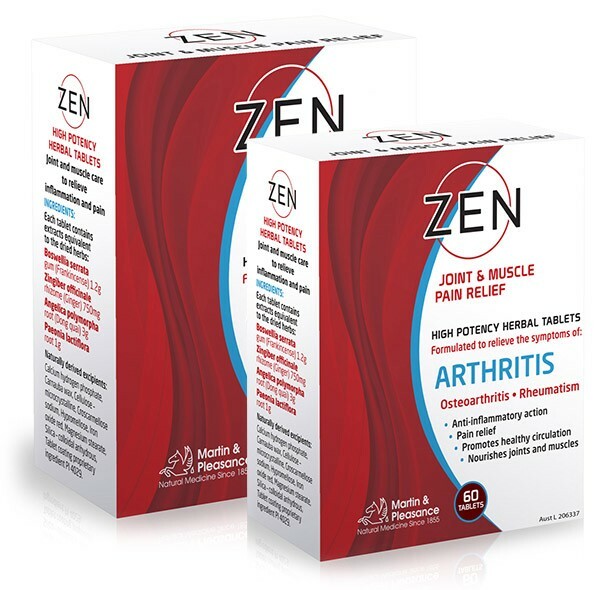 Zen Joint and Muscle Relief is manufactured to the highest pharmaceutical standards in government licensed premises. Only the best quality ingredients are used and are rigorously scientifically tested for identification, quality and potency.